A day after BJP MP Rajeev Chandrasekhar pointed out the diary scam in the Congress where crores of money was paid to the Congress high command, the Congress has come out with a similar narrative. The BJP however has stated that probe findings prove that allegations are false. Bengaluru: The Congress had held a press briefing in which they told reporters stating that it sought an investigation by the Lokpal into a media report that accused former Karnataka chief minister, BS Yeddyurappa of paying bribes amounting to more than Rs 1800 crore to the BJP top brass. BJP hit back saying investigations proved that the allegations were false. Congress spokesperson Randeep Surjewala sought Prime Minister Narendra Modi to clarify the matter. Surjewala quoted the Caravan magazine and said that it cited a diary that contained details of alleged payoffs to senior BJP leaders, which was later seized by the Income Tax Department. The Congress stated that the diary contained details of money that was paid to MLAs by Gali Janardhan Reddy. The BJP took to Twitter to say that Randeep Surjewala wasted the time of media persons by releasing a “fake diary” written and scripted by the Congress themselves. "Handwriting and signature on the diary released by the Congress is as fake as the diary itself," read the BJP's tweet. BS Yeddyurappa also released a press statement reacting to the accusations. He said that the Congress party and its leaders are bankrupt of issues and ideas, read the statement. Yeddyurappa went on to say, "IT department officials already probed the issue only to find that the documents, signatures and handwritten notes were all forged." Furthermore, Yeddurappa said that the Congress leaders who were apt in carrying out such malicious campaigns have planted the story in the media to gain political mileage. On Thursday, BJP MP Rajeev Chandrasekhar took to Twitter to point out that a diary was seized by the IT Department from the residence of a Congress MLC Govindaraju in the year 2017. Chandrasekhar tweeted the details of the 2017 steel flyover scam which had to be scrapped due to the Congress's active involvement in corruption. The diary contained entries of the amount paid to certain individuals listed by their initials. The initials were allegedly deciphered as All India Congress Committee (AICC), MV Vora (Motilal Vora). SG office (Sonia Gandhi Office), RG office (Rahul Gandhi office) and Digvijaya Singh (DGS). 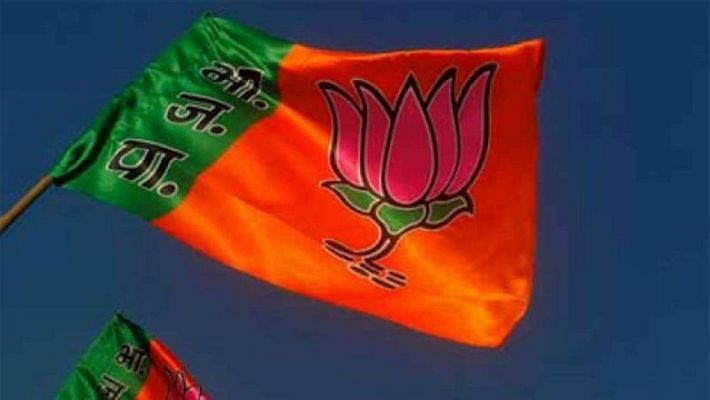 Chandrasekhar went on to say that the "diary from the BJP CM" was brought into the picture ahead of the Lok Sabha elections in an attempt to counter the 2017 diary that was recovered from Govindaraj's residence.